A’s Nationals Park (2008) Washington, D.C.
Jorge Polanco became the ninth player to record an interleague cycle when he accomplished the unusual feat against the Philadelphia Phillies on April 5th. The Twins’ shortstop joined: Dante Bichette (Rockies-1998), Damion Easley (Tigers-2001), Eric Byrnes (A’s-2003), Michael Cuddyer (Twins-2009), Aaron Hill (Diamondbacks-2012), Brock Holt (Red Sox-2015), Shin-Soo Choo (Rangers-2015), Jose Abreu (White Sox-2017) as players who have hit a single, double, triple and home run while playing in an interleague game. Polanco is the only interleague cyclist to complete the cycle in a losing effort. … Only 31 players, who debuted in the 1940s, are still alive with 99-year-olds, Bill Mills and Tom Jordan, being the oldest. Mills (born on 11/2/1919) played just one season as a catcher for the 1944 Philadelphia Athletics, while Jordan (born on 9/5/1919) saw action as a catcher with the 1944 and 1946 Chicago White Sox, 1946 Cleveland Indians and the 1948 St. Louis Browns. … The Nationals have continued a unique celebration, established during spring training, of quickly passing a head of cabbage from player to player in the locker room after a win; the Nats are calling the newly created tradition – a cabbage race, leaving the clubhouse floor strewn in shredded cabbage. 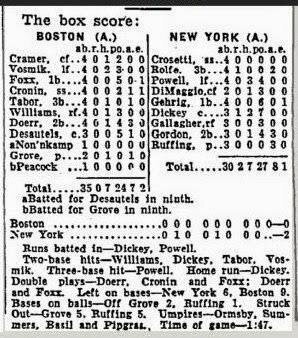 … Saturday marks the 105th anniversary of the first games played by the upstart Federal League in 1914; the league was founded to complete as a third major league but folded after completing their 1915 season. … The Red Sox home opener on Tuesday marked the first time that two Puerto Rican-born managers, Charlie Montoyo of the Blue Jays and Alex Cora faced off against each other. … Chris Davis extended his major-league record the longest hitless streak by a non-pitcher to 0-for-3 when he went 0-for-3 on Thursday against the A’s; the Oriole first baseman, began his futile streak last season, since Davis’ last hit on Sept. 14, 2018, there have been 7,001 hits and 1,025 home runs hit in the majors over the course of 28,713 at bats; the longest hitless streak, according to the Elias Sports Bureau, is owned by pitcher Karl Drews who went 0-for-89 between 1947 and 1951. … Whit Merrifield saw his 31-game two season hit streak end on Thursday; the Royals second baseman and outfielder began his streak on Sept. 10 last season; the last player to post a 30-game or more hit streak, spread over two seasons, was Jimmy Rollins, who recorded a 38-gamer between the 2005 and ‘06 seasons. … Albert Pujols joined Barry Bonds (Pirates-Giants), Eddie Collins (A’s-White Sox), Carlton Fisk (Red Sox-White Sox), Frankie Frisch (Giants-Cardinals), Joe Morgan (Astros-Reds), Rafael Palmeiro (Rangers-Orioles), Tris Speaker (Red Sox-Indians), B.J. Surhoff (Brewers-Orioles) and Dave Winfield (Padres-Yankees) as the just the 10th player to play at least 1,000 games for two franchises when he played in his 1,000th game as an Angel on Wednesday night; he began his career playing 1,705 games for the Cardinals and joins Winfield by accomplishing the feat by playing in both leagues. … Tiger closer Shane Greene became the first major-leaguer to record seven saves in a team’s first 10 games when he recorded a save on April 7 against the Royals. … Giants manager Bruce Bochy became the fourth manager to manage four players (Brandon Belt, Madison Bumgarner, Brandon Crawford and Buster Posey) together for nine or more seasons from 2011 to 2019; only Joe Torre, when he managed the Yankees, had a longer streak of 11 consecutive years spent with four players (Derek Jeter, Jorge Posada, Mariano Rivera and Bernie Williams) from 1996 to 2006. … According to MLB’s Statcast, Fernando Tatis Jr.‘s home run against the Giants on Monday night tied the Padres team record for the highest launch angle of 45 degrees set by Hunter Renfroe last year. … Rajai Davis is currently the oldest player to be toiling away in the minors; the 38-year outfielder is playing for the Syracuse Mets, the Triple-A franchise of the Mets. … Kevin Pillar became the first Giants player to record back-to-back games of at least four RBIs since Barry Bonds did so on April 2-3, 2002; the center fielder drove in four with a grand slam on Monday and four with a three-run double and a sac fly on Tuesday. … Through Thursday, the Mariners have slugged 36 homers the most in the majors; their hitting coach Tim Laker hit just 11 during his 11-year big league career. … Police are trying to figure out who spread 25 gallons of gasoline on the Ridgefield (Conn.) High’s damp infield dirt and lit it on fire trying to make the dirt dry faster; the fire caused an estimated $50,000 of damage to the high school’s baseball diamond and was witnessed by an estimated 50 to 100 fans waiting for the game to start. … This season marks the 25th anniversary of basketball legend Michael Jordan giving up basketball to try his hand at baseball; the Chicago Bull retired and signed with White Sox and played for the Birmingham Barons of the Double-A Southern League, he returned to basketball the next year on March 19, 1995. … Tigers manager Ron Gardenhire earned his 1,140th career win which tied his managerial mentor Tom Kelly for the 50th most managerial wins after defeating the Indians 4-1 on Wednesday. … Edwin Encarnacion joined Andre Dawson, Willie McCovey, Jeff King and Alex Rodriguez as the only players to twice hit two home runs in a single inning; the Mariner DH/first baseman went yard twice in the same inning in 2013 while with the Blue Jays and did it again on Monday against the Royals. … Ranger teammates Joey Gallo and Nomar Mazara on Sunday demonstrated a unique way of celebrating each other’s feats – they first bump fists and then grab each other’s crotches; proving there’s yet another reason to wear a cup.